Imagine this… We’ve all been there! Walking through the door, arms full, into a dark house, with no one to help you. Wouldn’t it be nice to tell your house to offer a helping hand? Now you can. 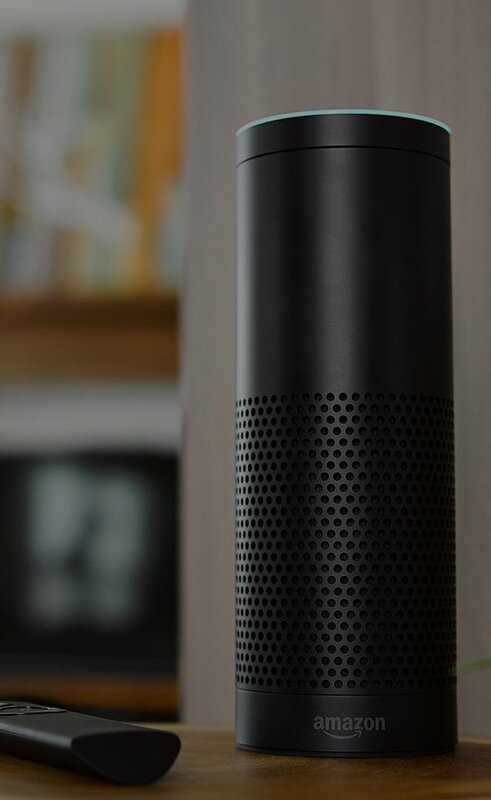 A simple voice command such as “Alexa, turn on Welcome” lights up the hallway and kitchen, ﬁres up your favorite Pandora station, while the door locks itself behind you. This is Control4 Home Automation with Amazon Alexa. 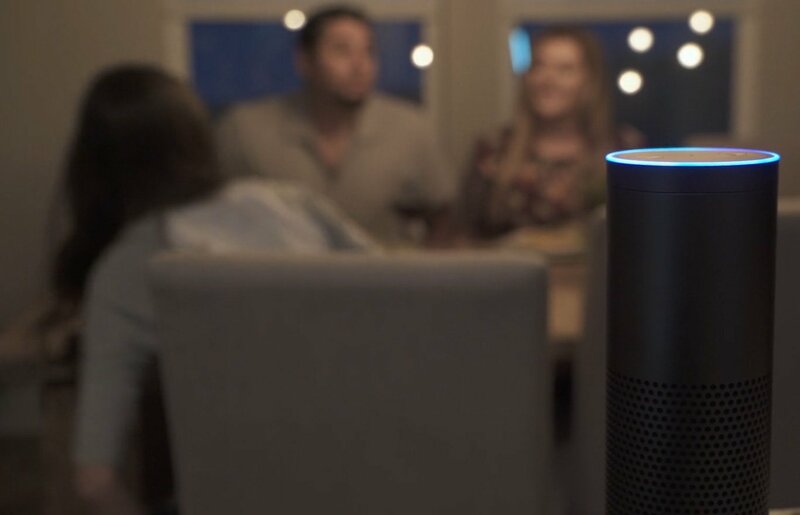 With Control4 and Amazon Alexa, when you talk, the house listens. Simple voice commands can activate entire smart home scenes, control individual lights, and more. Ask Alexa to turn the thermostat down while you’re cooking and your hands are full, or to turn on the lights and your favorite tunes while you walk into the house. 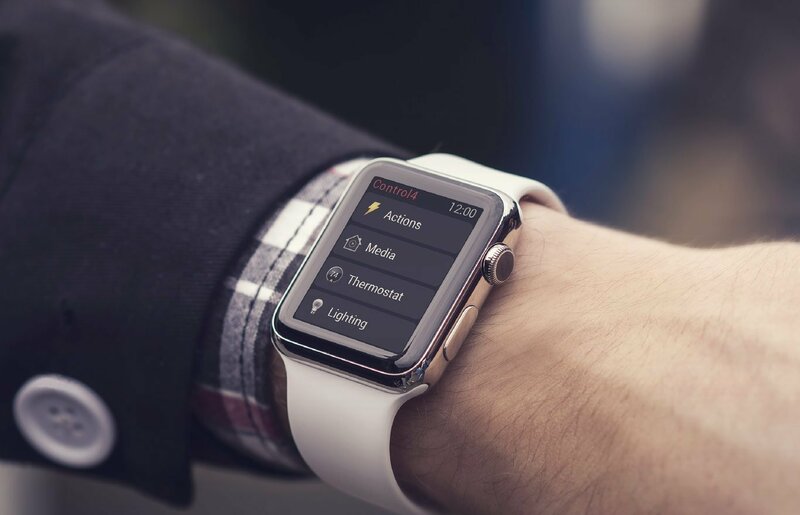 Use the Control4 App on your Apple Watch to control lighting, thermostats, volume, and more. No need to find the remote or pull out your phone. You can even ramp or dim the lights or adjust the volume from the digital crown. It’s home automation on hand, literally. 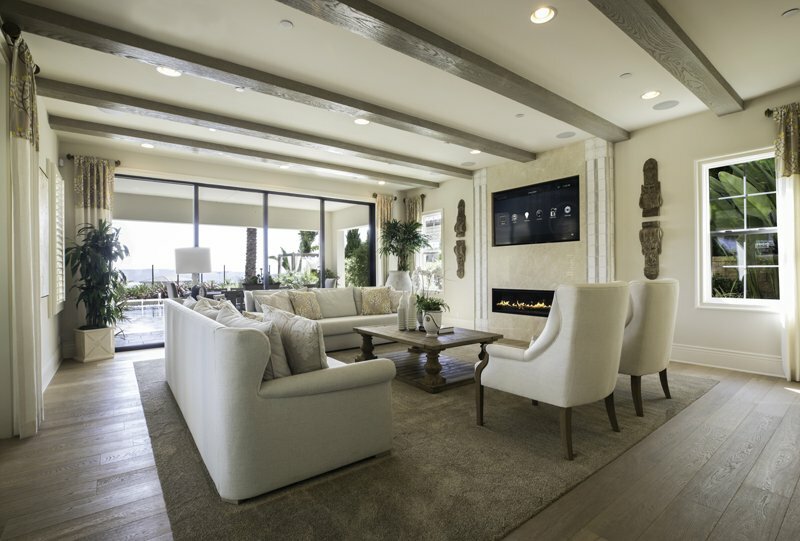 From smart lighting, climate and shade control, distributing video and audio throughout your entire home, and integrating cameras, sensors, and door locks to delivering intelligent peace of mind, our Control4 smart home system solutions are designed to create an atmosphere that best supports your lifestyle. Get the most out of your smart home with voice control, Apple Watch support, automation personalization, alerts and notifications, and remote access while you’re away to ensure that you are connected at all times. Today, there are more ways then ever to control your home. Putting the power in your hands. 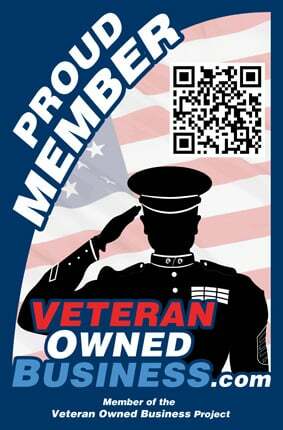 Your smart home, fine tuned for you, by you! From changing schedules, evolving tastes in music, or along with the seasons or holidays, 4Sight gives you access to When >> Then personalization. 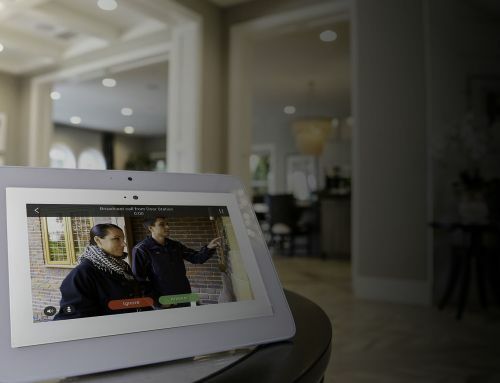 When >> Then is a personalization tool that gives you the ability to customize and fine tune the automation in your smart home after the initial install without needing to call our company. Think of the When as a trigger (like a schedule, a touch of a button, or when an event occurs), and the Then as the action you desire. Add a new set of lights to a current scene, have the porch lights come on at dusk, or even receive a notification when the garage door is left open. 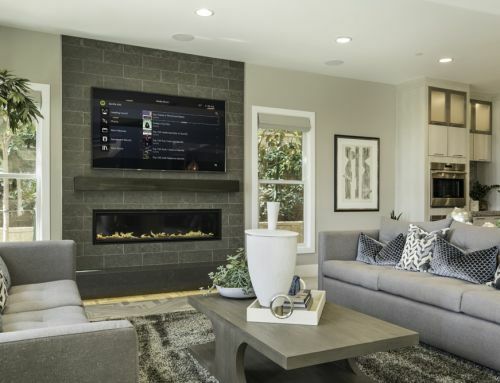 There are thousands of possibilities to customize your smart home, your way. Fine tune until it’s just right with an easy to use interface. Who knows, you may even come up with automation ideas you’ve never dreamed of before! No matter where you are, you’re always connected to your home. Enjoy complete control from inside and outside of your home. Quickly change the temperature, ensure the garage door is closed, or turn on the lights from nearly anywhere in the world with just a few taps on your handheld device. View cameras, open or close the garage, unlock the front door, even turn the lights on or off. With 4Sight, you can connect to your system while you’re away and control and manage all of your system’s features. 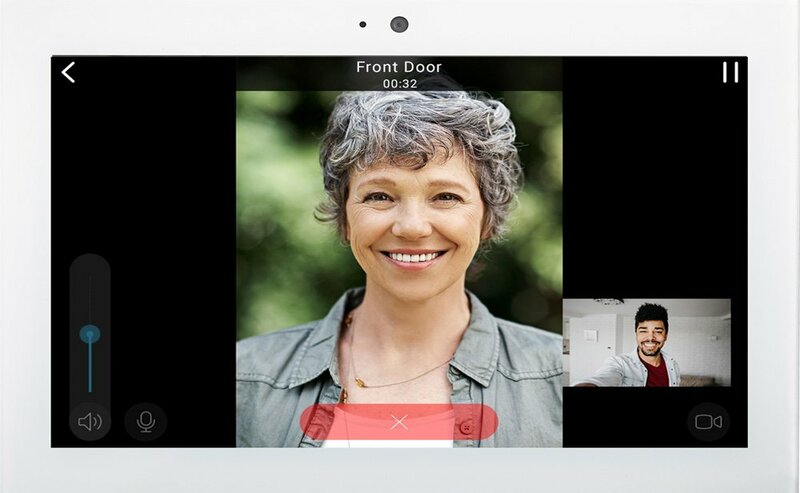 You can even see who is at the front door while you’re away, right from the smartphone. Or receive a video call when someone rings your doorbell and choose to answer for your expected guests or ignore the unwanted visitors. 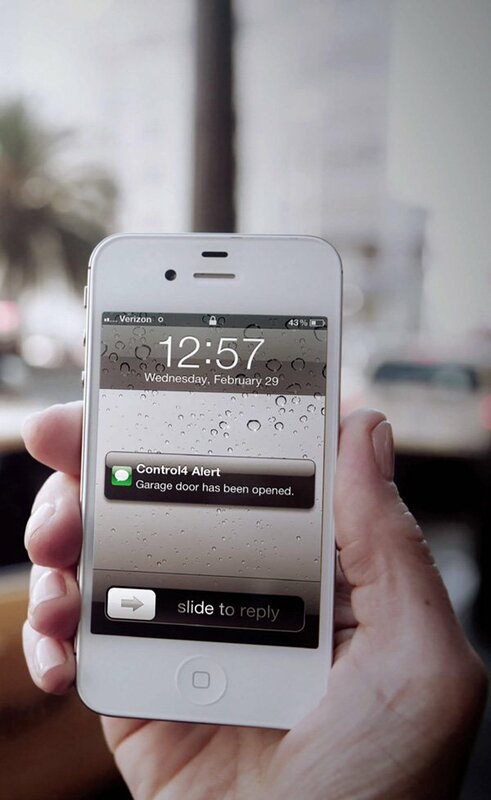 And if you need to let someone in, simply flip on the lights and open the door quickly and easily from the same device. It’s peace of mind at its finest. 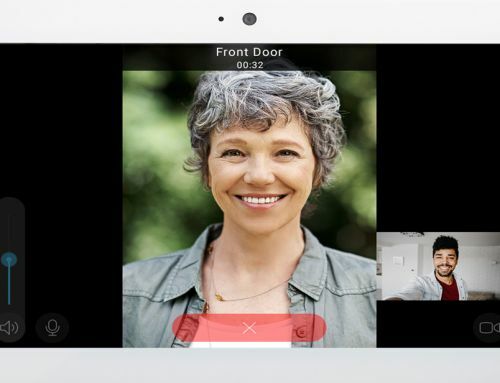 See who is at the front door while you’re away, or receive a video call when someone rings your doorbell. Introducing the simplest way to control your home, your voice! With Control4 and Amazon Alexa, now you can tell your house what to do! Whether it is turning off all lights when it is time to go to bed, setting the perfect mood for dinner, or asking for a helping hand when yours arms are full, when you talk, the house listens. Ask Alexa to turn the thermostat down while you’re cooking and your hands are full, or to turn on the lights and your favorite tunes while you walk into the house. From just one device to dozens working in harmony, one command controls a single light or sets the perfect scene. So, raise the shades while you’re getting ready for work or adjust the temperature from bed with just a few words it is truly that simple. Or, take it one step further with smart home scenes. “Dining” dims the lights to 60% and turns on the background music. And “Bedtime” shuts off every light in the house, locks the doors, and arms the alarm. 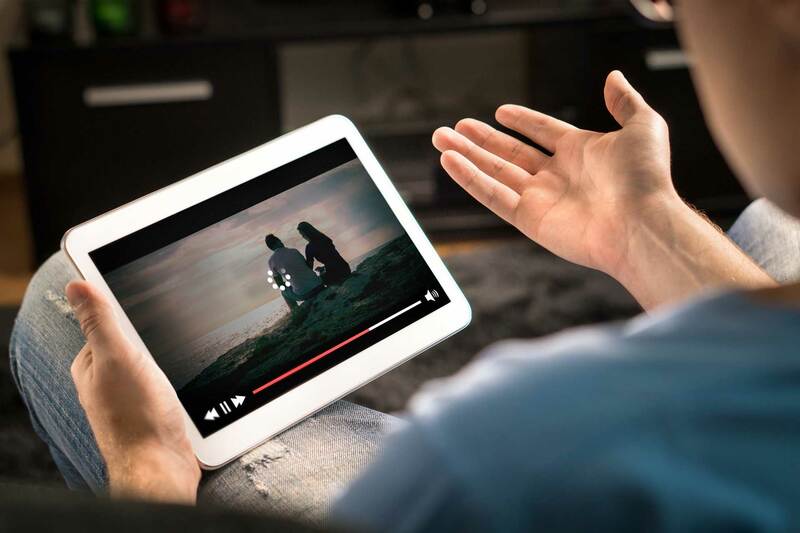 With support for nearly 11,000 consumer devices, only Control4 can create immersive, whole-home experiences, personalized to exactly how you live. 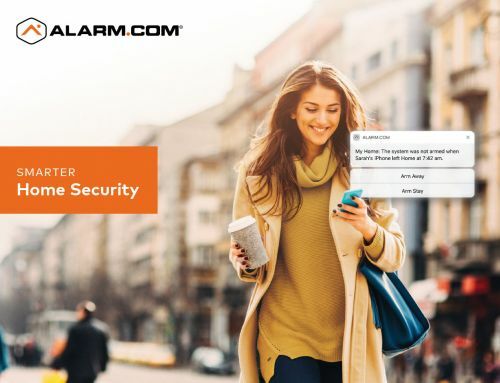 When the devices and systems you use regularly work in unison such as smart locks, lights, entertainment, security devices, garage doors, and more. Life is simple, comfortable, and best of all, more convenient. Personalized notifications can be sent directly to your smartphone, tablet, or Apple Watch to alert you if something at home needs your attention. 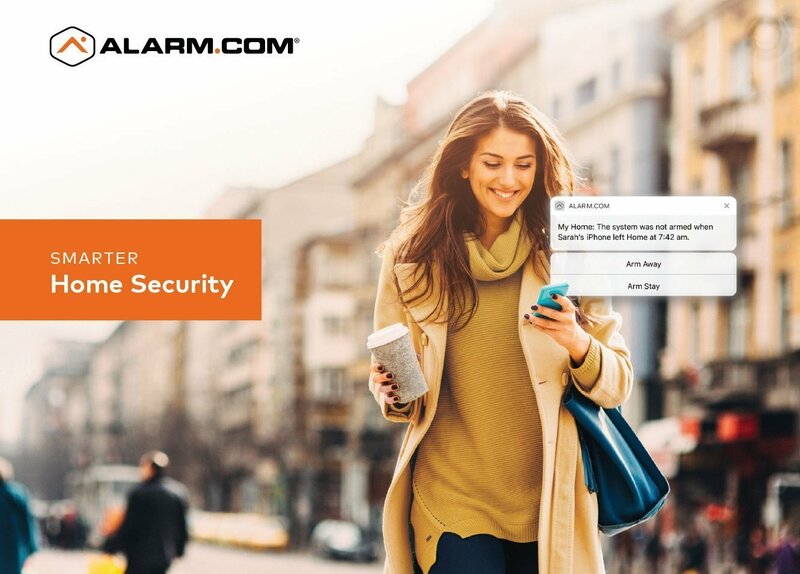 Create your own personalized push notifications to alert you when people come and go, a water leak is detected, even if the garage door has been left ajar. Whether it’s urgent and needs immediate attention, or you simply want a status update, your home will let you know. Use the Control4 App on your Apple Watch to control lighting, thermostats, volume, and more. No need to ﬁnd the remote or pull out your phone. You can even ramp or dim the lights or adjust the volume from the digital crown. It’s home automation on hand literally. A simple voice command—such as “Alexa, turn on Welcome”—lights up the hallway and kitchen, fires up your favorite Pandora station, while the door locks itself behind you. 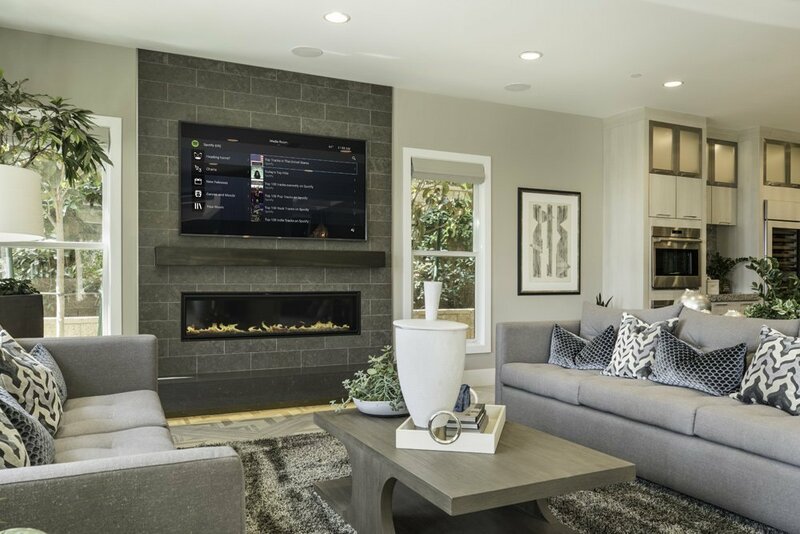 You can get started with Control4 by adding it to one room, or your entire home. Focus on one solution, perhaps an entertainment set-up for your family room, and add on when your interests or needs change. Or go big and automate your entire home. The choice is entirely up to you. If you already have a Control4 system, it may be time for an upgrade. So, whether you need an upgrade to take advantage of all that Control4 has to offer, or need to get started planning your smart home. We have solutions for every home, and every budget. 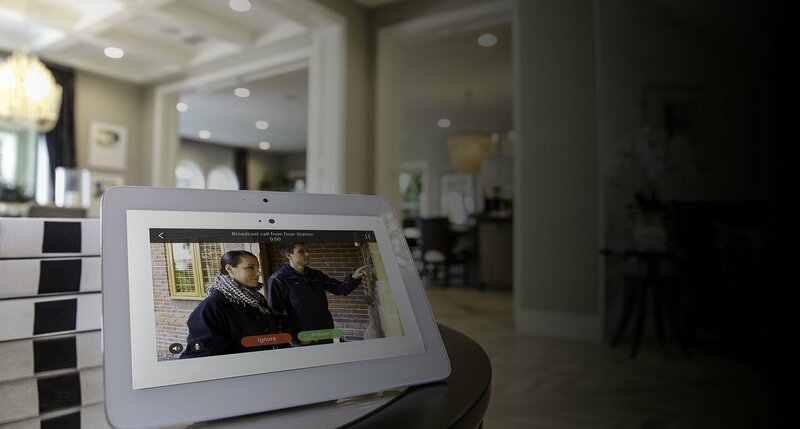 Let us help with your smart home system today!